Are we there yet? 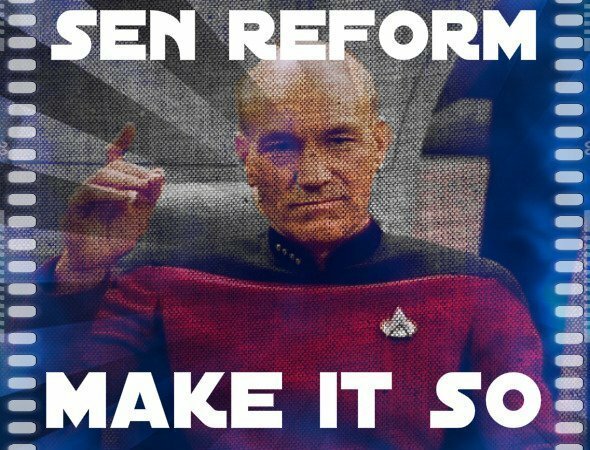 Well, yes, all bar the shouting, all systems are go for September 1st and SEN reform implementation. What that system will be like depends on the quality of the training and the will to do it well. It's been a very long haul that we have been involved with all the way from Green Paper to Parliamentary approval. I think everyone who has worked on these reforms, including the SEN Minister must be pretty exhausted and I am most definitely in need of a break before implementation. We are heading, tutti la famiglia Tirraoro, aged from 15 to 82, for a fortnight in a Tuscan hideaway. Recently I have been asking myself what keeps me going with Special Needs Jungle after six years of posting up to five times a week, for no money? It isn't especially easy, even with our fab columnists contributing their expertise, as we try to bring you new and interesting topics. I am able to write much less about my boys' personal stories these days. They don't want their amusing foibles splashed over a special needs blog, when they are trying to overcome their difficulties and blossom into capable young men. "If you put this on Facebook, DO NOT tag me," I am told. Sadly, I am neither saint nor supermum and I often feel like throwing in the towel on a bad day, when my EDS pain levels defy being soothed by opiates or when I look at my To Do list and realise that there is not a chance of getting through it before the end of the month, let alone the end of the week. We are building Special Needs Jungle, somewhat haphazardly, into a non-profit social enterprise, expanding our area of focus, collaborating with others, including the Department for Education. I am working on ways to attract funding and sponsorship so I can pay my contributors, build parent-led downloadable resources and offer training. We already have a two-hour SNJ presentation about the SEN reforms on offer, bringing together the facts and our knowledge and experiences over the past few years into a session you can book with us for groups of parents and, if you want a parent viewpoint (and why wouldn't you with these reforms?) for practitioners and other professionals too. The DfE have seen it and seem to be happy that it has its facts straight. These days, my life has many challenges. On top of trying (often failing) to make sure that my boys have the help they need, I have become very limited mobility-wise, thanks to my faulty collagen (See the EDS link on the right to RareConnect for more info). I have a nifty electric wheelchair now but try to manage without it, which will no doubt please those people whose feet I have, hitherto, crushed under its wheels. Even Renata's son, Dominic shook his head despairingly when he saw me weaving about in it when his mum & I were heading off to Belfast. Despite the difficulties, I don't think my life is worse than the mum who barely gets a few hours sleep at a stretch and must spend extended spells in hospital alongside her sick child, leaving other children at home without her. Different, but not worse. We all face our tragedies and challenges on a daily basis and still make it through to bedtime. Usually. If I just chucked it all in now, you would probably agree that I had done my bit to help. Others would take up the baton - it's not like there is a dearth of special needs blogs these days! 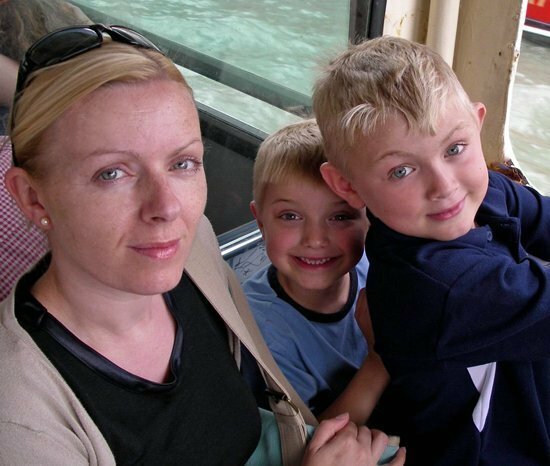 But this is not just about blogging about me or my boys; it never has been. It's certainly not about being admired or put on any kind of "supermum" pedestal. My balance is crap anyway, I'd be on my arse before I'd got comfortable. What it is about, is helping other parents get the information they need to advocate for themselves and their family as I have been lucky enough to be able to do. I've always been a writer, ever since I decided journalism was my calling aged 17, which is quite shockingly 30 years ago. I have a deep love of information and facts, coupled with the rhythm, rise and fall of a well-phrased sentence. I was taught, back in my early days as a shiny new reporter, always to imagine you are your viewer or reader, who often only have one chance to hear or read what you have to say. Make it count; make the delivery on-target. Choose your words efficiently, achieving the most effective meaning from the fewest words. It's why how the SEN reforms are communicated is vitally important. You have to know how your audience, "gets it". Parents are very busy and very stressed. And stress makes our brains do weird things when it comes to understanding complicated new ideas. Knowing your audience means understanding that you are talking to intelligent people (largely), but whose brains are filled with fifty other things any given moment. Don't dumb down in the delivery, wise up in the wording. Being able to write and explain ideas well is a bit like being able to sing. Most people can string a few notes together and technology can help, but it doesn't mean they should audition for the opera. We are about to be flattened by any number of people trying to explain the SEN reforms. Some, such as IPSEA and others who know the reforms inside out, will do it very well. Others will be the equivalent of Autotune - what might seem glossy on the outside is actually just tarted-up confusion. So when you're looking for your information and explanations, do choose your source wisely. Make sure they are telling you the FACTS in a way you can grasp without saying, "Eh? It does what?" more times than you can spare. Or even worse, just telling you a version of the facts that suits them best. When I was 24, I found myself covering a 'goose shitting on a golf course' story for Meridian TV [I kid you not, those poops are HUGE!] I realised this wasn't the kind of thing I had in mind when I wanted to be a truthful story-teller. (Readers of my novel This Last Summer, may recognise that story - along with other thinly veiled truths about the "glamorous" life of TV reporting). TV goes for the "shock" value and this is not unlike the ups and downs of the story of these SEN reforms. But the difference here is that often the 'shocks' that have come to light have served to improve the Bill, now Act and the shiny new SEND Code of Practice. It has been, sometimes, a torrid affair. And this is not the end; on the contrary, there will be plenty of new case law to keep the SEN lawyers from the dole queue. Although these reforms were designed to make the journey to Tribunal a less frequent affair they will, for sure, be tested in court when a parent isn't happy with the details delivered to them by the "co-producing" local authority. Ed Timpson, though he is a genuinely sincere chap, isn't Jean-Luc Picard in Star Trek. Just because the DfE says, "Make It So", it doesn't mean the SEN Universe will be at peace before the Df-Enterprise reaches warp drive. Choose your information source wisely, be prepared to do a little reading yourself and remember that the facts are out there and Special Needs Jungle is here to help you find them. I am now away for a few weeks in Italy and then not long after, to physical rehab. But the rest of the SNJ Team are on hand and ably in charge, making sure we will still have a couple of posts a week to keep you in the loop. Have an awesome Summer! Are you prepared for Adulthood? Tania, you are incredible, a beacon of information, light and hope for us all. I am proud to play a tiny part in SNJ, not as much as I could ever hope, but what a team we do make moving forward.